OCEANSIDE — Marina del Rey’s future development was decided 90 miles south of the harbor, at the California Coastal Commission’s Nov. 3 meeting held in the Oceanside City Council chambers. 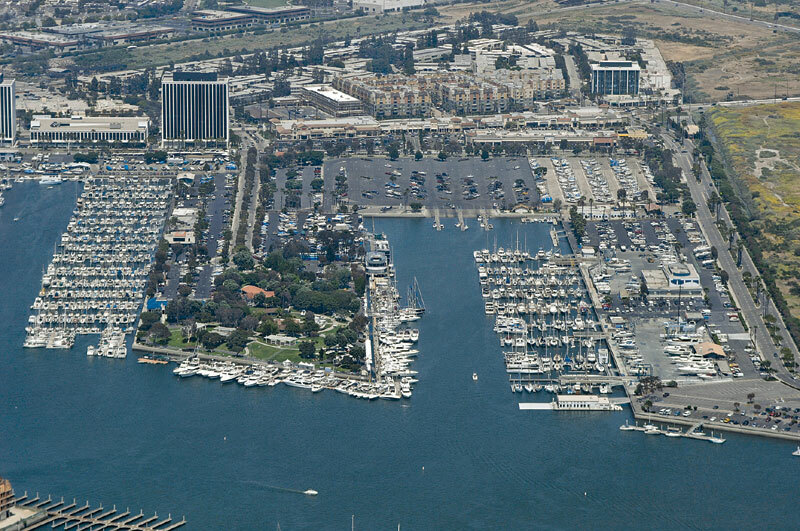 The decision to demolish and redevelop six private marinas and one public marina in Marina del Rey, along with fast-tracking four “pipeline projects” into the Local Coastal Plan Amendment, was approved by the commission in an 11-1 vote, paving the way for further slip reduction and increased commercial and residential use in the world’s largest manmade recreational harbor. The four projects of the planned 17 in the Marina del Rey redevelopment plans were in need of land-use designation changes in the county’s Land Use Plan and Implementation Plan, which required Coastal Commission approval. Neptune Marina: a 400-unit apartment complex to replace a 136-unit apartment complex, along with an additional 126-unit complex to be built on an existing public parking lot. Oceana Retirement: a 114-unit senior retirement living center with 3,500-square feet of retail space and 92 public parking spaces. Boat Central: a dry stack boat storage facility with 375 spaces, 3,080 square feet of office space and 3,350-square-foot boatyard facility. Launch Ramp Facility: a proposed mixed-use facility with 135,000 square feet of visitor-serving commercial space and up to 26,000 square feet of office space for the Department of Beaches and Harbors. For the waterside portion of the LCP Amendment, Coastal Commissioners approved the demolition and redevelopment of seven Marina del Rey anchorages, resulting in approximately 693 slips lost for boats in the 30-foot and smaller size range. The plan calls for an increase in slips for larger boats, resulting in a total slip loss of 412 slips. After the construction of the new docks, an additional 274 slips will be available in the 36-foot and larger size range. “Approval of the LCP amendment will bring to nearly 2,000 the number of boat slips lost since our marina was developed with 6,200 boat slips,” said Marina del Rey Boat Owners Association president Andy Bessette. During the hearing, Bessette argued that the slip losses were being driven by the desire to get rid of excess boater parking, freeing up waterside land space to be utilized for commercial projects. During the hearing, other members of the public mentioned the unusually high vacancy rates listed at the marinas marked for redevelopment, which the Department of Beaches and Harbors cited as a sign of excess in smaller boat slips not being utilized in the harbor. Boaters argued that the dilapidated state of the docks, along with the steady increase in slip rates, was pushed forward to raise vacancy rates — in an effort to move toward dock redevelopment and larger slips. The approval of a reduction in boat slips comes as a direct reversal of the Coastal Commission’s action in January 2008, when commissioners added an amendment during Marina del Rey’s LCP Periodic Review that stipulated there must be no more slip reductions for boats smaller than 35 feet. Despite claims that the Los Angeles County Department of Beaches and Harbors did not listen to public concerns regarding the marina redevelopment plans, nearly 80 public meetings were held since the January 2008 Coastal Commission hearing, and Beaches and Harbors director Santos Kreimann said public input has been vital to the process. Coastal commissioner William Burke commended the Department of Beaches and Harbors for its work over the past three years, and said the Marina del Rey project could set a precedent for future marina reconstruction projects along California’s coast. Despite the acceptance of public input through the process, the Coastal Commission ignored letters sent from Marina del Rey residents, including Los Angeles City Councilman Bill Rosendahl, which called for a delay of the hearing until the January Coastal Commission meeting, which is scheduled to be held in Long Beach. “The remote location for this hearing has left many Marina del Rey residents opposed to this development severely underrepresented, and this process should be continued to the January meeting,” Ohliger said. With the waterside redevelopment plan approved, Marina del Rey will go from offering 4,761 slips to 4,349 slips. County officials and Coastal Commission members compromised on a slip ratio for Marina del Rey, agreeing to keep 39 percent of slips for boats 30 feet and smaller and 20 percent of slips for boats 31 to 35 feet in length. During the meeting, Commissioner Esther Sanchez — who cast the lone dissenting vote — made clear that future redevelopment and dock reconstruction plans at Marina del Rey’s other 13 anchorages must abide by the slip percentages utilized as the guideline for the current development.